In this tutorial I would be going through process of transferring videos, music and photos from your PC to Galaxy Tab 3 with Kies. Galaxy Tab 3 has a 3-megapixel camera and a new 1.3-megapixel video call camera around the front, plus other features such as Bluetooth 3.0, Wi-Fi Direct, GPS and a 4000mAh battery. As for the OS, Samsung has installed Android 4.1 Jelly Bean, and has placed TouchWiz over the top. In addition to the regular Wi-Fi Galaxy Tab 3, Samsung will produce a 3G version with voice capabilities, for those who think the Galaxy Mega doesn’t look big enough when held up against their face, putting it up against hardware such as the Asus Fonepad. The Wi-Fi model will go on sale first, with a global launch in May, while the 3G Tab 3 will follow in June. Maybe you just received your Galaxy tab 3. Or you own a Galaxy Tab, anyway, i think this article is very useful for you. 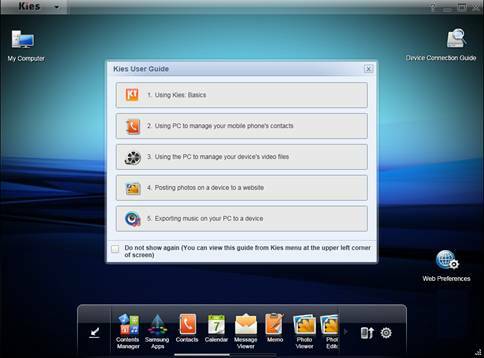 Which helps you get started with Kies, Samsung’s desktop utility for getting various types of media – games, music, videos, podcasts etc – onto your phone from your PC (Windows only). Using this freeware provided by Samsung you can connect the Galaxy Tab to PC and transfer videos, music and pictures to the device at ease. Guide for connecting and transferring video files from PC to Samsung Galaxy Tab 3 with Kies. Step 1. Install Kies to your PC. Once you’ve downloaded the .exe, do the usual double click on the desktop icon to start the installer. This runs you through various steps such as choosing your country and language and what specific elements you want to install. Once you’ve finally installed Kies and booted it up, you see this nice user guide. This is useful, read it through and you’ll learn the basic features of Kies. Step 2. Setup your Galaxy Tab for Kies connection. In Menu mode, select “Settings -> Wireless and network -> USB settings -> Samsung Kies”. Step 3. Connect your Galaxy Tab to the PC with a USB cable. Step 4. Exporting videos from PC to Galaxy Tab 3. Click on “My Computer” at the left top of Kies to open My Computer Window, and select the files you want to export. 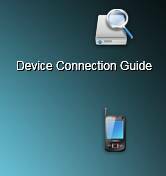 Drag and drop the selected items onto either the connected Galaxy Tab icon or the Device Browser window. Step 5. Remove the Galaxy Tab device. Close Kies, and click the “Safely remove hardware” icon on the taskbar to remove Galaxy Tab from your PC. Now you can play the video files on Galaxy Tab freely. Hope this helps. In case that your video files are not in these formats and codec, you can use the Video Converter tool included in Kies to convert source videos for Galaxy Tab playback. This video converter tool, however, supports limited formats and converts videos forever long. A recommended alternative here is Pavtube Videos to Galaxy Tab 3 Converter, a universal converter software that converts among various video formats (AVI, MP4, WMV, VOB, MTS, M2TS, MP4, MKV, MPG, etc) and features Galaxy Tab 3 optimized prests for conversion. This little tool makes it possible for you to play MKV/MTS/AVI/MPG on Galaxy Tab 3. To view Blu-ray/DVD movies on Galaxy Tab 3, try Pavtube Blu-ray to Galaxy Tab 3 Converter, which rips Blu-ray Discs and standard DVDs to Galaxy Tab 3 support format.